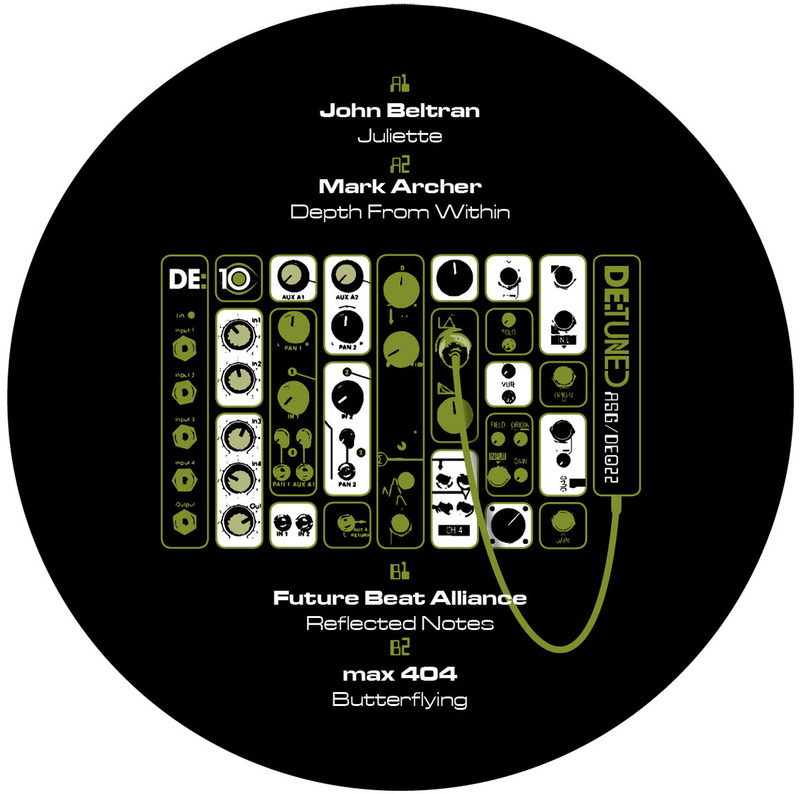 John Beltran, Mark Archer, Future Beat Alliance and max 404 line up on this third 10 years anniversary 12″ for De:tuned. Both John and Mark deliver a timeless, Detroit tradition indebted techno vibe, resulting in 2 dancefloor-friendly tracks. While FBA and max 404 activated their DAT recorder, culminating in unheard crisp yet sensitive cuts. Kevin Foakes (Openmind, DJ Food, Ninja Tune) created all the graphic work. Mastered by Matt Colton at Alchemy Mastering, pressed on 180 gr vinyl and a separate digital version will be available from the usual digital shops. Stay tuned!